I don’t have the knack for it. I’m chuckling a little bit typing that because I can see myself giving a lecture to my son because ‘reading’, ‘coloring’, ‘writing’ are ‘just not my thing’ and I have to tell him that it gets easier with practice. 🙂 Hmmm maybe! When I heard Home Depot has a new partnership with Laurel & Wolf, an online design company, I jumped at the opportunity to try it out. I used the Holiday Decor Package with Laurel & Wolf to decorate my living room for Christmas. 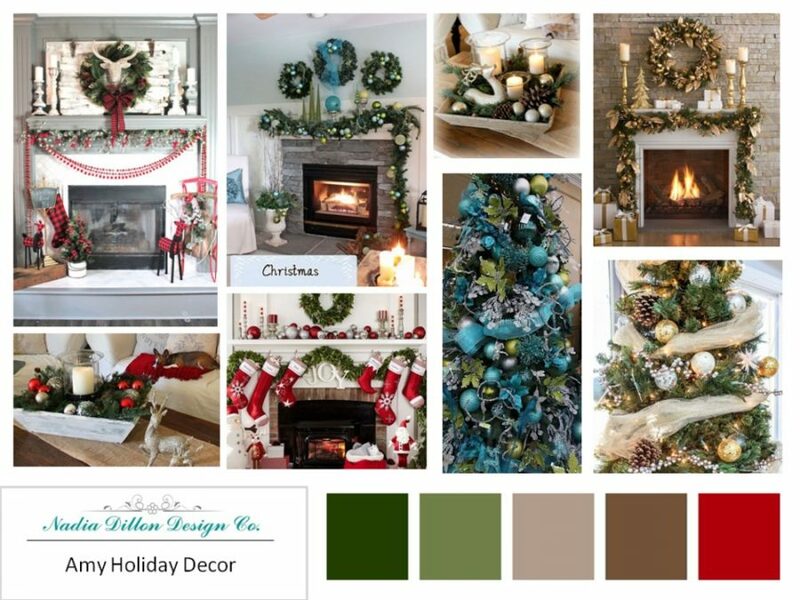 The Holiday Decor Package is $59, which will get you: holiday accessories & decor design picks for one room, 5 days of design time, 1 design revision and a super handy shopping list. Using the service is really easy. 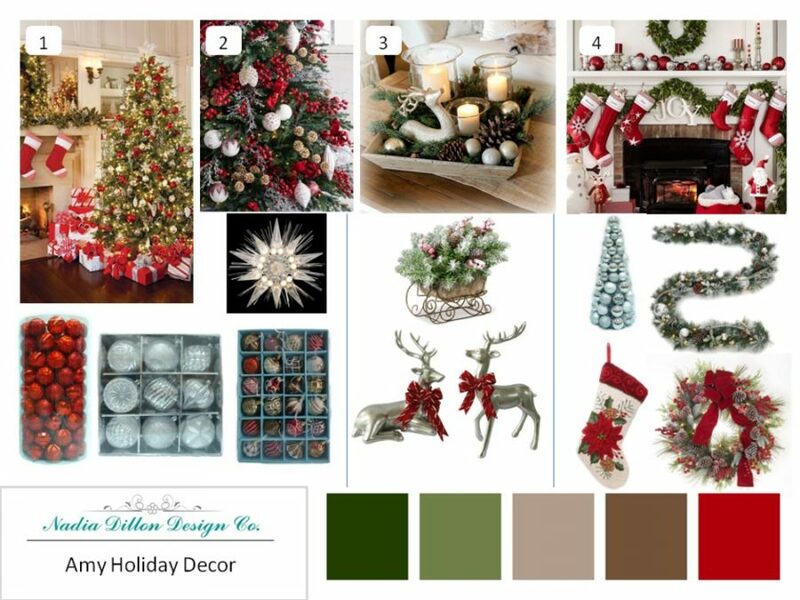 You start a project and enter in your decor budget, your style (or they have a quiz to narrow your style down if you don’t know what it is), 6 pictures of your room and 3 links to inspirational rooms you like. Once you submit your project, Laurel & Wolf assigns a designer to your project and the fun begins! All of the communication for the design service is done online through the Laurel & Wolf website. My assigned designer Nadia was great and easy to work with. She first sent a concept board to me, and I told her what I liked and didn’t like about the different inspirational pictures. She quickly narrowed down ‘the look’ and began finding decorations and accessories for my living room. 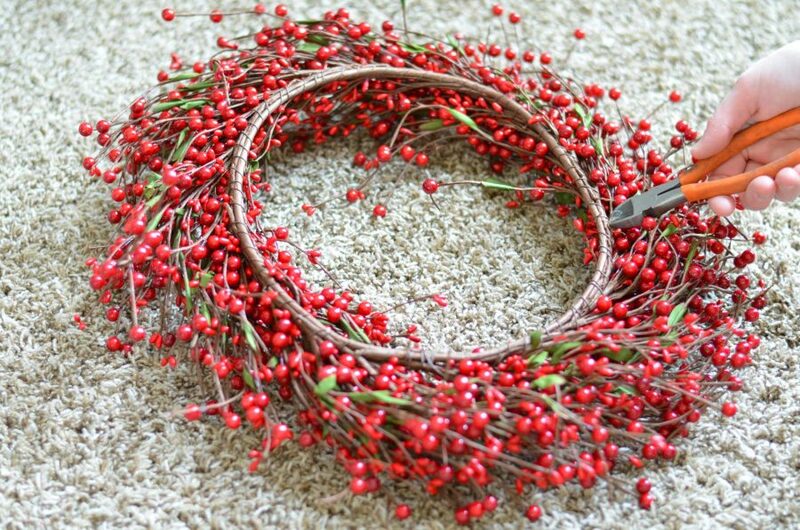 and added the cute red berries throughout the space. 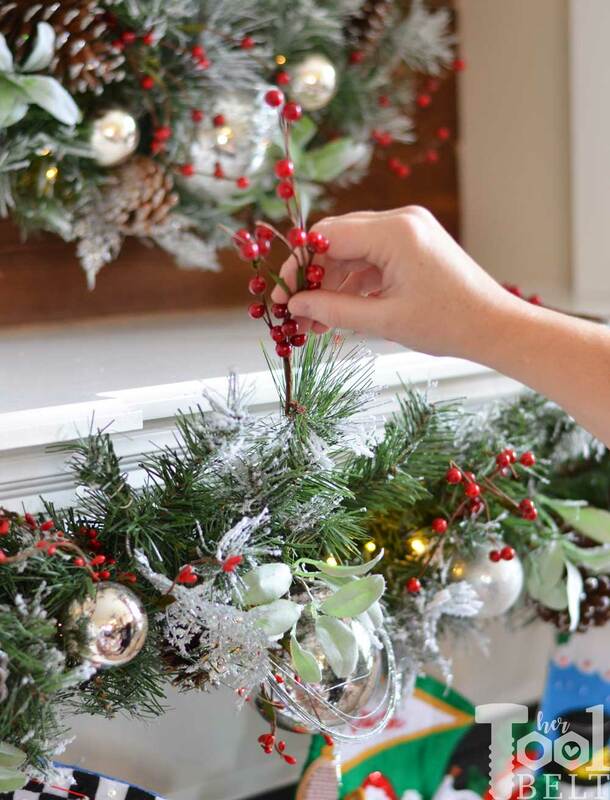 You can see my Christmas living room reveal over on the Home Depot Blog. Working with a designer really took a lot of stress and anxiety out of the decorating process for me, it was actually fun. 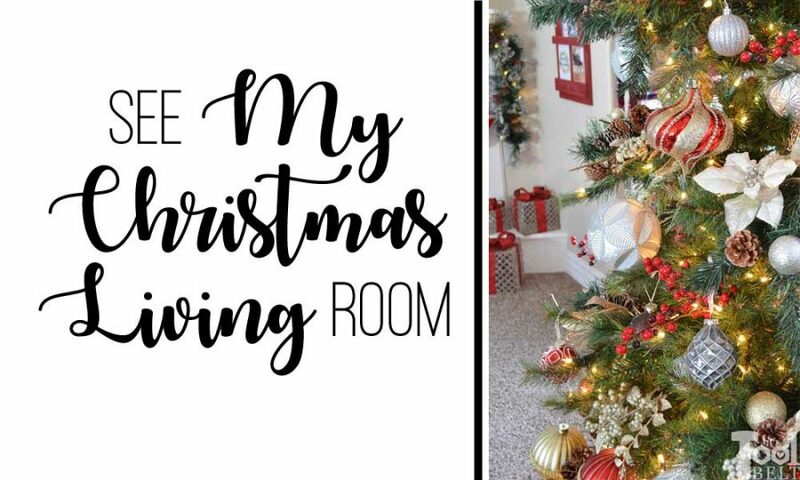 Check out my Christmas Living Room reveal on the Home Depot Blog! My living room and kitchen are one big great room, I continued the same decoration theme into the kitchen. (Disclaimer: this part is me trying to ‘practice’ decorating, if you don’t like it, it’s not the designers doing 🙂 ). 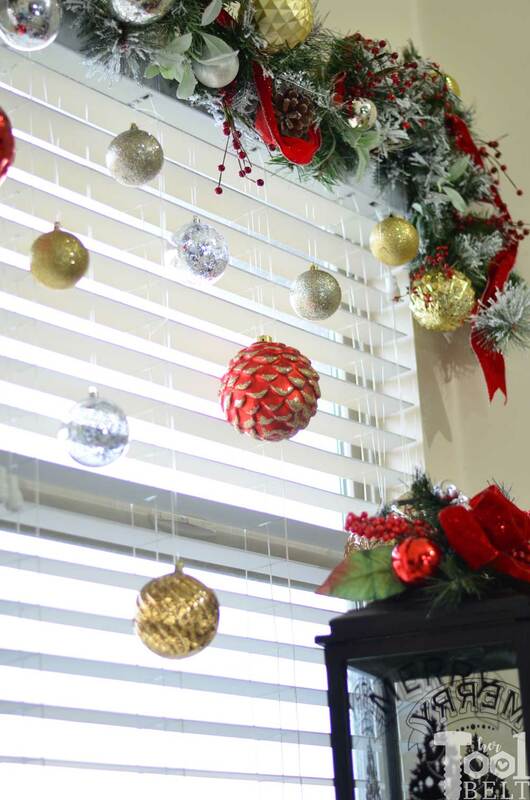 I had a few ornaments left over and I thought it would be really fun to have them suspended in the window. I used a little fishing line to hang them from the garland. 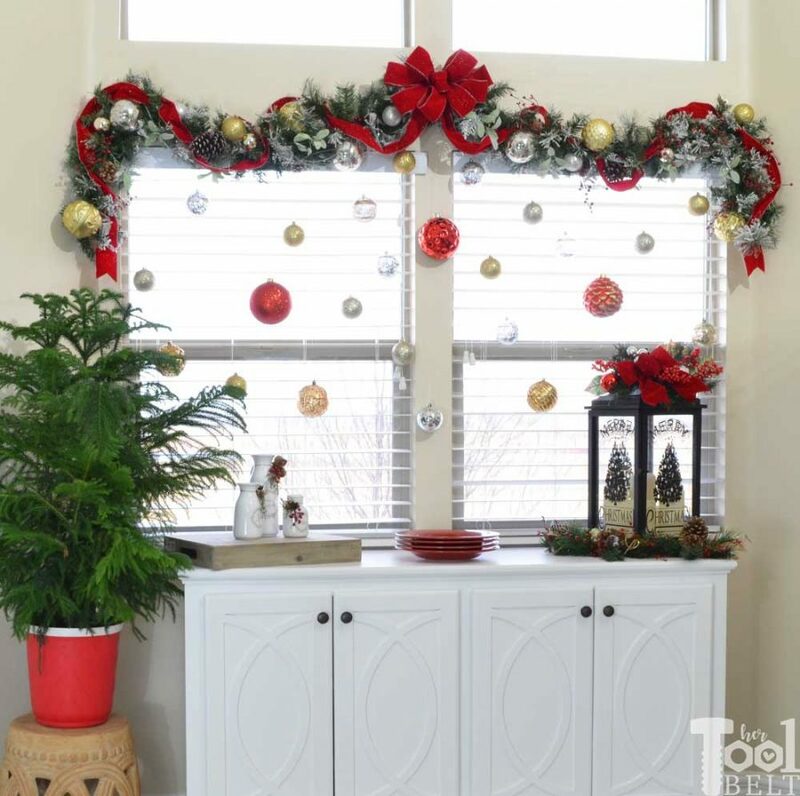 I hung a garland above the large windows and tied a big red bow to anchor the garland and color scheme. 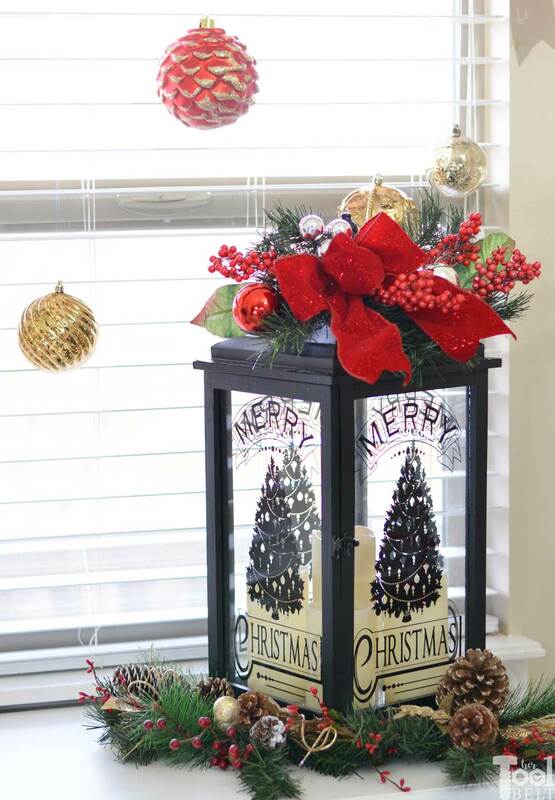 I found this darling Christmas lantern in-store at Home Depot, and it’s a perfect addition to my buffet table. 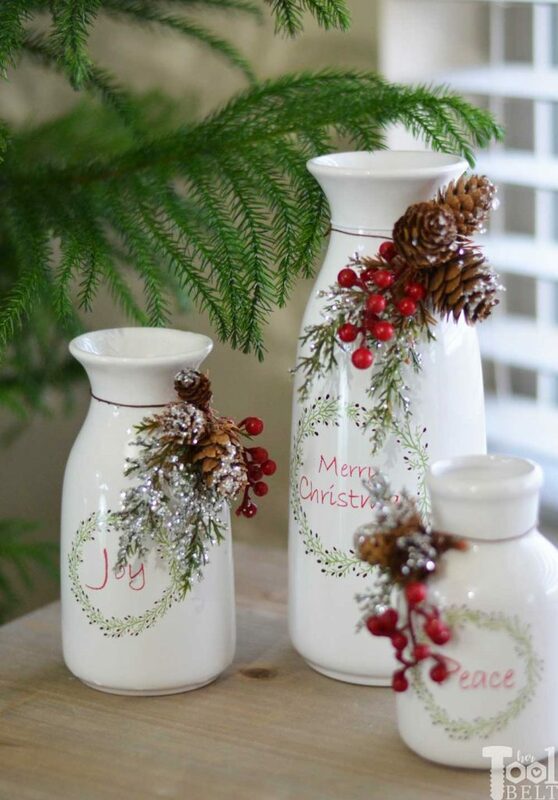 I love these adorable holiday milk bottles, they are too cute. The Norfolk pine is also a fun addition (maybe we’ll have to add some Charlie Brown decorations to it). 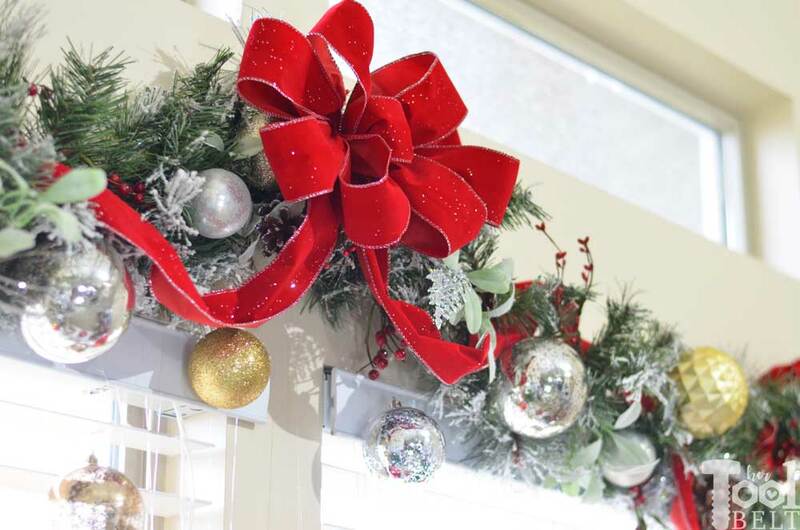 Your house looks like a Christmas wonderland! I absolutely love it all! It turned out very tasteful. It was such an honor to work with you! I love how the room turned out. It is absolutely stunning. I hope we can work together again in the future.